For over 25 years, Maritime Coastal Construction has specialized in marine piers and docks, bulkheads, dredging, and all types of marine construction. 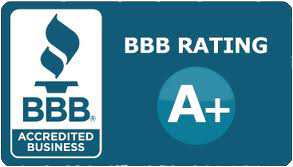 Our experience and attention to detail make us the preferred marine contractor for many Ocean Isle Beach Residents. Maritime Coastal Construction serves Ocean Isle Beach, Ocean Isle, Holden Beach, Sunset Beach and Oak Island, NC. Pile Savers are an easy and affordable way to stop marine growth, rotting and shipworm damage to piers, docks and pilings! Pile Savers are versatile and will fit most forms of pilings on docks or piers. Extend the life of your pilings up to 20 years longer by using Pile Savers! More about Pile Savers. Call Maritime Coastal Construction today for a FREE Marine Construction Consultation. 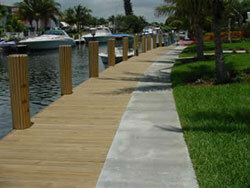 Our Marine Contractor will discuss your marine construction project or repair and develop a custom quote. Call 910-842-3625 or click for a Marine Construction Quote. Maritime Coastal Construction: Serving Ocean Isle Beach, Ocean Isle, Holden Beach, Sunset Beach and Oak Island, North Carolina.